I cannot thank you enough for my scholarship to attend CancerCon 2018, but I will try. As a 21-year pediatric cancer survivor, I do not have peers who truly understand what my reality is. There are times where I feel extreme fatigue—not the kind of fatigue that “just take a quick nap!” will fix—the kind where you’re lying on the couch and it literally feels like you’re becoming one with the cushions. I have seen and lived through things that some of my best friends will (hopefully) never have to experience in their lives. When I found Stupid Cancer a few years ago, my eyes were opened to the fact that there were actually other people my age who just get it. They’ve experienced some of the same things or very similar things and they understand. Last year I attended CancerCon 2017 as a way to celebrate 20 years cancer-free. The experience was overwhelming. I attended on my own and did not know anyone there. I tried to soak up every bit of information I could from every session. The material covered was not only informative, but life-changing. This year, when I saw that registration was open, I had to make the tough decision to pass on attending because I could not make it work financially. I live in upstate New York and the conference was in Denver. When I saw there was a scholarship that I actually could qualify for, I immediately applied, not thinking I’d ever receive it. I was so excited when I learned that I had! 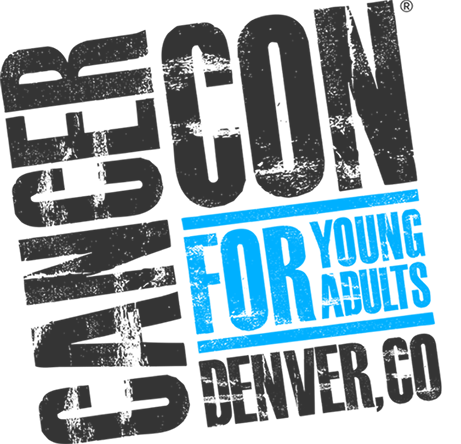 This year, I also signed up to volunteer at CancerCon. Having attending by myself, I remembered how isolated I felt, even in a giant room of people just like myself. I felt like being 30 years old and being 20 years cancer-free put me in kind of a weird position, where I was older than a lot of people and also further separated from cancer. I wanted to make sure that other “first timers” didn’t feel this way. My experience at CancerCon 2018 was unlike anything I have ever experienced in my life. The first night I was in Denver, I met another woman in her 30s. We had dinner together that night and immediately became friends. The next morning, at the scholarship welcome breakfast, we sat together at a table with seven other women, all of us in our 30s. I couldn’t believe there were so many of us! Everyone at this table besides me was a first-timer. Following the breakfast, four of us spent our free time exploring Denver together and sharing our stories. While I am the furthest from treatment, we all shared common experiences. I immediately felt at home. As we continued attending sessions together and sharing meals, I learned that I am not alone. This group of women, my “CancerCon Squad,” has become my family. One of my favorite memories from the conference was actually a pre-conference session. I attended a yoga class in a room filled with other survivors, some of whom have visible scars from their cancer, others who do not. Being in this room was one of the most powerful experiences of my life. I felt safe and for the first time—maybe ever—completely comfortable in my own skin. At my first breakout session, a session specifically for pediatric survivors, I was floored to be sitting next to a young man who lives three miles from me and is a current patient at the pediatric cancer center where I was treated. We have been in touch and plan to meet up soon for dinner so I can help walk him through his current challenges while he receives treatment. My “Squad”—Lindsey, Mary, Melinda and I—have kept in touch. We’ve had a group text message going since the morning we met. Since returning to our four separate states, the four of us have had our own struggles with “returning to the real world,” including a new tumor scare, difficulty at work, challenges with our families, and the uncertainty of switching jobs. Through this, we have been able to offer support and guide each other through everything. We are currently planning our first “reunion” for July and we are all making major changes in our lives to continue to pay forward what we have learned at CancerCon this year. We are all committed to making sure that more people have access to this type of experience and support, even outside of the CancerCon weekend. I am so incredibly thankful to have had this opportunity. I thank you for everything you do for pediatric survivors like myself! Being able to attend CancerCon this year showed me a new side to the survivor community and taught me that I really am not alone.